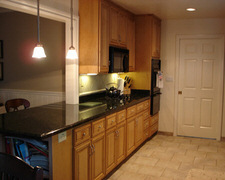 M C Kitchen Industrial Ltd provides various countertops and door hardware. M C Kitchen Industrial Ltd provides a comprehensive package of services including custom architectural millwork, professional project management, contract administration, value engineering, technical engineering, CAD drawings, shop drawings and sample approvals, production of prototypes and CNC production capabilities, and installation services. Len Kitchen Cabinet Co Ltd is a contemporary furniture manufacturer for 15 years in Markham, Ontario. Our European style furnitures are design with the American way of life in mind. Quality, style and comfort are the words to describe our products. We manufacture bar stools, bedroom and home entertainment units. Karma Decors designs and builds award winning custom kitchens and bathrooms for it’s clients in Markham, Ontario and the surrounding communities. 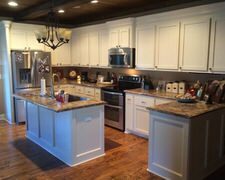 Karma Decors specializes in the installation of kitchen cabinet doors and refinishing (refacing) the outside of existing cabinets. We can also add new drawers, moldings and more. All this is done within 2-3 days and at a cost of 40% less of a new kitchen. 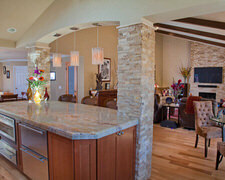 Pfeiffer Custom Cabinets is a Manufacturer of custom residential cabinetry. Cameo Fine Cabinetry Inc manufactures wood, laminate, and thermofoil cabinets and vanities in oak, Maple, hickory, cherry, thermofoil, and laminate.